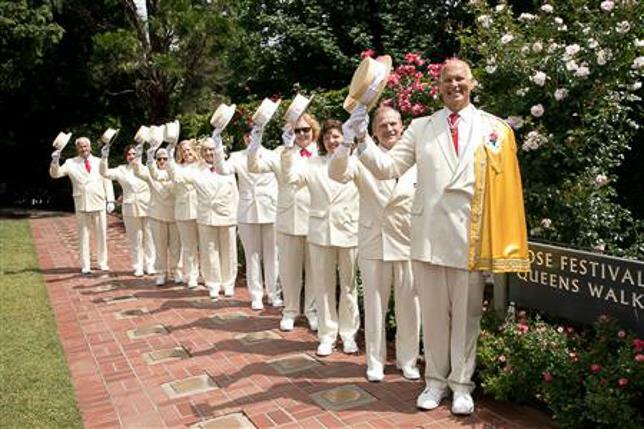 In distinctive white suits and straw hats, the Royal Rosarians serve by Mayoral Declaration as the "Official Greeters and Ambassadors of Goodwill for the City of Portland". 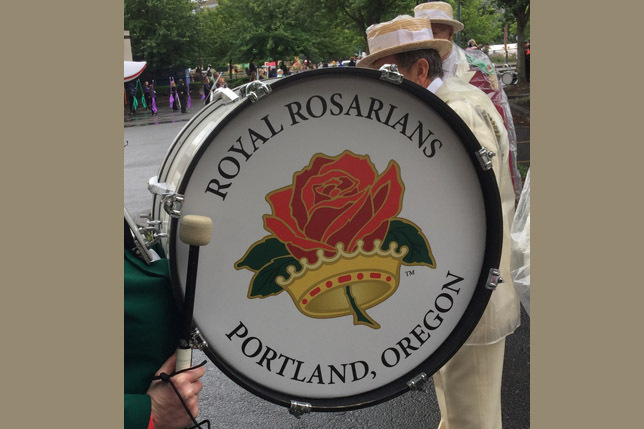 Formed in 1912, the Royal Rosarians promote the best interests of the City of Portland and the Portland Rose Festival. 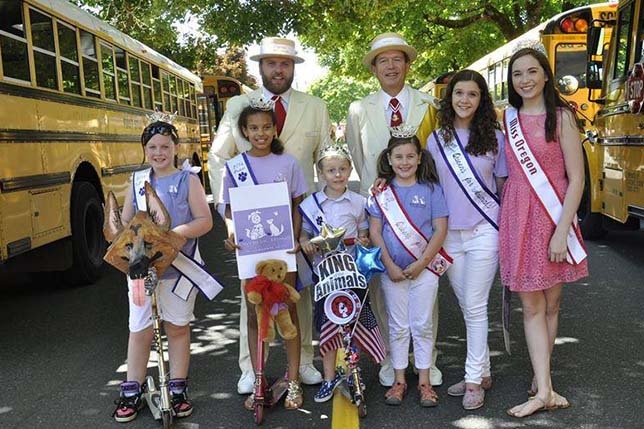 As Ambassadors of Goodwill and Official Greeters for the City of Portland, Royal Rosarians welcome visiting dignitaries from around the world and host hundreds of out-of-town visitors each year. 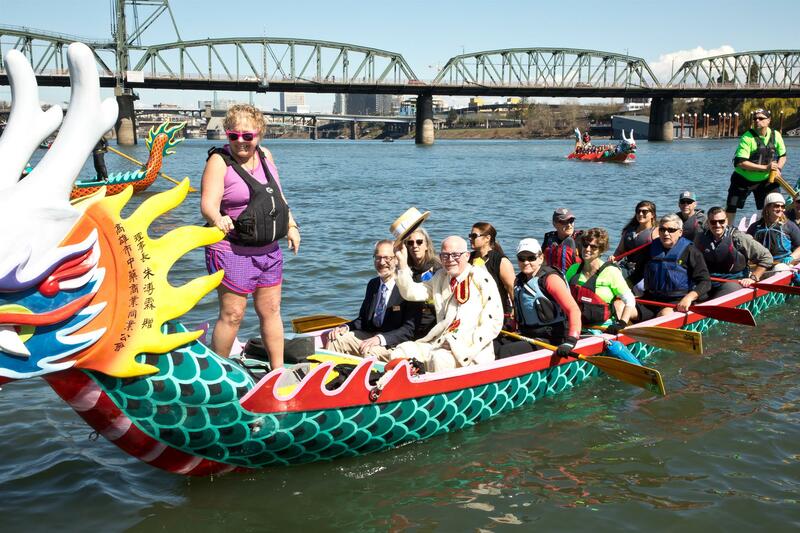 Known as men and women who represent the outstanding character of the citizens of Portland during the Portland Rose Festival, members march in parades here and throughout the world, promoting the Rose as the Queen of Flowers and Portland as the Rose Capital of the World. The Royal Rosarians are a non-profit civic organization and all services rendered by its members are gratuitous. 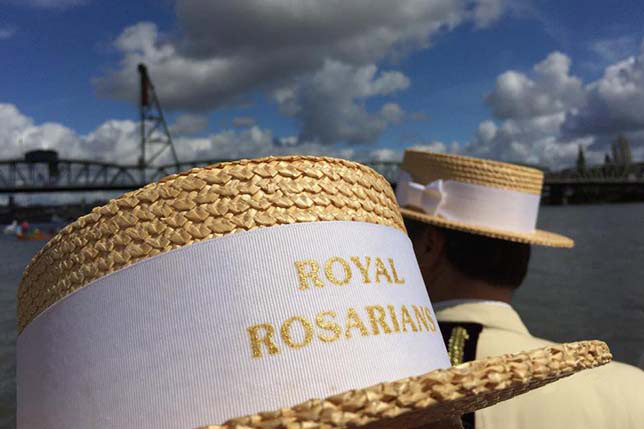 The charitable arm of the Royal Rosarians is the Royal Rosarian Foundation. 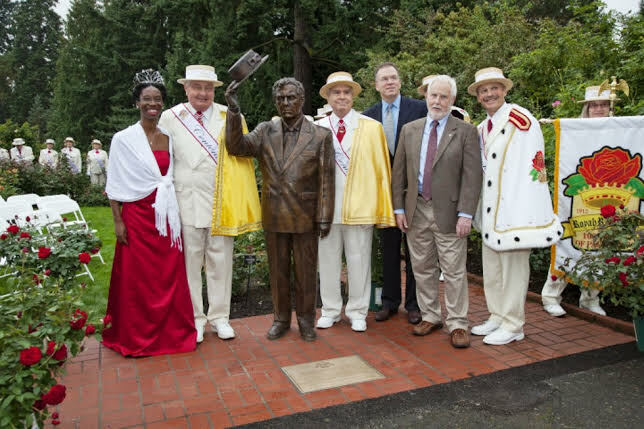 By Mayoral Declaration, the Royal Rosarians serve as the Official Greeters and Ambassadors of Goodwill for the City of Portland. Rosarians are dedicated to community service through the charitable activities of the Royal Rosarian Foundation. We honor our legacy of tradition with rich pageantry and ceremonies from the mythical Realm of Rosaria. Rose Garden Contest -- enter yours now, it's free!